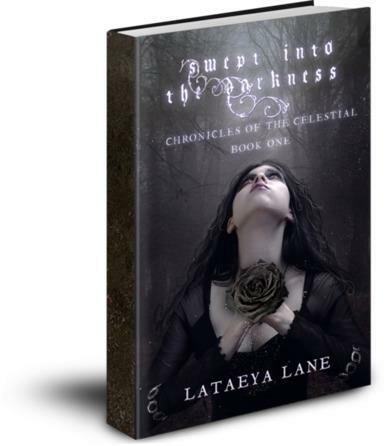 So much has been going on with my book since I last blogged about Swept into the Darkness. The paperback version on my book will be coming out early October and will be sold on Amazon.com. Currently I am reading the proof copy of the paperback. I will be making some subtle changes within some of the chapters. It’s amazing the mistakes you can find even after you have read and reread the book several times and even had it edited multiple times! October is also Indie Author month, and to celebrate all Indie authors I will be participating in a Facebook book promotion. The event has been extended until the end of November so I will have a book cover spot on November 26th. Also my official book release will be coming up soon and the actual dates will be announced via my site and twitter once I get those dates approved by my book release host. That event will also take place on Facebook and will be by ” SPECIAL INVITATION ONLY.” I am in the process of obtaining some nice prizes for my upcoming Goodreads promotion which will be announced within the next couple of weeks. In addition to that I am looking for readers to review my book. So if anyone is interested in providing me with a review please drop me an email and I can send a PDF copy of my book to be reviewed. I am only looking for the serious reviewer.